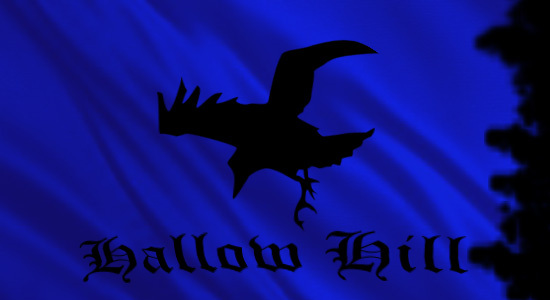 Over the next several days his father was laid in state at the temple of the Fates in Hallow Hill. Nobles and commoners came to pay respects to him before his bones were carried beneath the castle to rest with other heroes and noblemen. Paul rode with Jack down into the depths of the Hill’s catacombs, bearing his father’s body on a cart. They laid him to rest on a stone slab that bore his name, title and deeds and lit three candles. Paul said the words of blessings to the Destroyer to carry his father safely to the Halls of Valor. For three nights he sat in vigil, and each night he extinguished one candle until Paul’s father was left in darkness forever. It was in those three nights of silence that Paul decided what must be done. The nobility gathered to witness the passing of his father’s chain of lordship in Hallow Hill’s audience chamber. Those in attendance were Yarls and Thegns that his father had called friends and allies. Some, Paul knew, would leave with thoughts of conquest now that Gareth Halloway was dead. Others would swear to keep their allegiances. It would come down to who wore the chain of lordship. Paul knew they would never follow him. They looked at him, and Paul saw nothing but skepticism and sour expressions. They see me as a coward. The story of my failure is known now and defeating the Bearkiller is not enough to bring them back. He took a deep breath and looked to the one who might. Frowning, Jack stood from where he’d been sitting at the feast table. He wore his finest mail and the metal shone in the firelight. The young man came to the dais and stood before him. Paul offered him the sword and, after a moment of hesitation, Jack took it. At first, nothing happened. Then slowly, Paul saw the nobles dip their heads. What Paul had done was rarely seen, but perhaps it was enough to save Hallow Hill. Jack would not meet his eyes, but not for shame this time. Paul knelt to him and most of those gathered did as well. Some left, turning their backs on their old promises but he saw Jack making note of every one. He’d bring them back under the banners or he would not. Paul suddenly felt a great weight lift from him. Jack would do what he could not. Afterward and all through the night, there was singing and drinking. Jack spoke to those that remained and Paul left him to it. Near morning, he found Tani still awake and together they climbed to one of the towers of Hallow Hill that overlooked the north, back towards her village. The sun had begun to set and Paul took her hand. She squeezed it and looked north. She took his hand and they turned to watch the sun rise on a new day.